Crossover is a collaborative project between artists Crystal Gregory and Alexa Williams exposing the experience of two women working together. Their pallet of utility materials builds metaphors of strength and vulnerability, tension and slack, work and support. 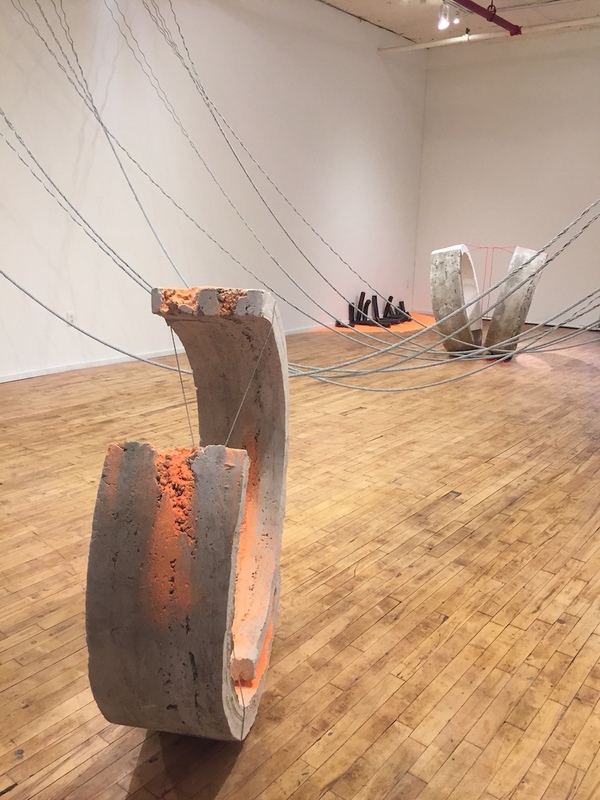 Installations of concrete, steel cable, ceramic and cotton rope investigate their social associations and begin to disprove the gendered stereotypes these heavy lifting materials have previously suggested. The accumulation of these formal gestures mimic the relationship between the artists and the challenges they provide for each other to see from a new perspective. 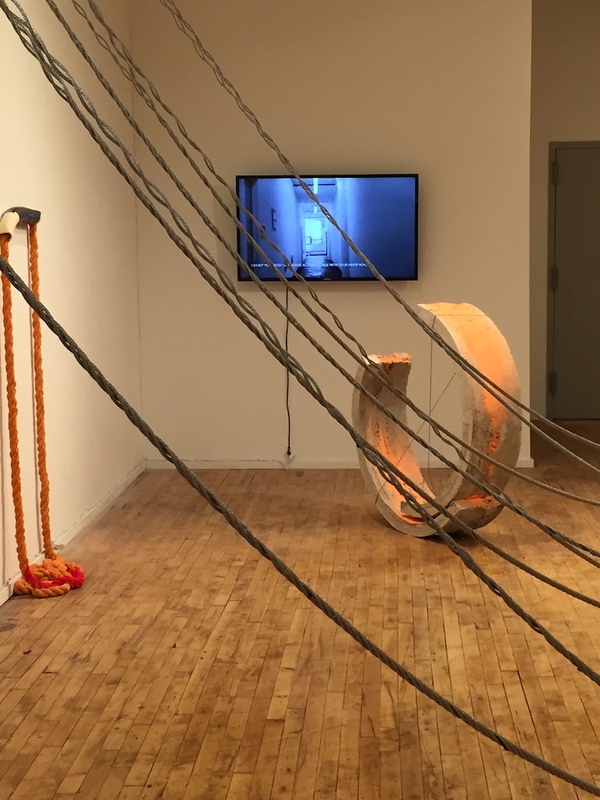 Crystal Gregory is a sculptor and holds an MFA from The Fiber and Material Studies Department within The School of the Art Institute of Chicago. In 2013 Gregory was awarded The Leonore Annenberg Fellowship and moved to Amsterdam to take a position as Artist­In­Residence at The Gerrit Rietveld Academie of Art where her research connected ideologies around studio glass and lacemaking. She has shown in galleries nationally and abroad and has received fellowships to attend artist residencies at Vermont Studio Center, Virginia Center for the Creative Arts, La Maison des Metiers d’art de Quebec and Wave Hill’s Winter Workspace Residency. Gregory is based in Brooklyn and holds a position as Assistant Professor of Art Studio in the School of Art and Visual Studies at the University of Kentucky. Alexa Williams’ work references a sense of place and the tension between control and happenstance. 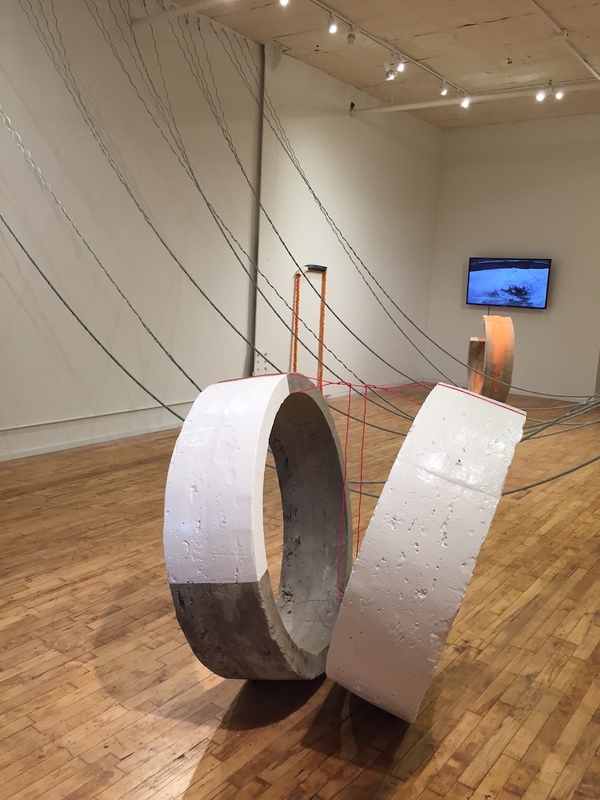 Although she has worked in diverse media, her current use of industrial materials, including cement, construction chalk, spray paint, and graphite, reflects her New York surroundings. Williams is the recipient of artist residencies and fellowships including the Vermont Studio Center and The Cooper Union. She exhibits frequently in New York, including recent shows at The Curator Gallery, Invisible Dog, and Ground Floor Gallery.